What Does Code P0223 Mean? OBD II fault code is defined as “Throttle/Pedal Position Sensor/Switch B High Input”, and set when the PCM (Powertrain Control Module) detects a signal voltage from the TPS (Throttle Position Sensor) that does not correlate with the current engine speed. On most applications, a voltage or resistance deviation of more than 10% of the specified reference value will cause a code to be stored and the CHECK ENGINE light to be illuminated. As a rule, the PCM will recognize a closed throttle as a zero, or close to a zero voltage/resistance value, but be sure to check the actual voltage/resistance for a closed throttle against values stated in the manual. 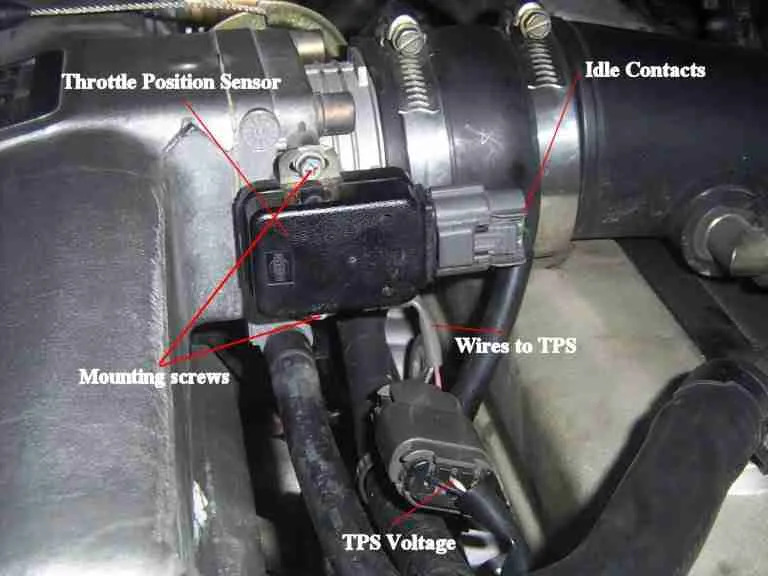 Essentially, the TPS is a type of variable resistor that is attached to the throttle body, and it alters the throttle opening as the circuit resistance/voltage changes due to movements of the accelerator pedal. The TPS relies on signals from the PCM (derived from the pedal) to actuate the throttle, on the one hand, while at the same time, supplying the PCM with precise information on how wide the throttle is open at any given time. To complete the circuit, there is another sensor attached to the accelerator. This is most commonly a Hall Effect sensor that generates a current when a moving part is moved through a magnetic field. This signal is used by the PCM to actuate a mechanism (which can be a motor, solenoid, or other device) in the TPS to change the position of the throttle plate. Changes in the throttle opening serve to alert the PCM to make suitable adjustments to the ignition timing, VVT/VCS timing, and injector pulse width/duration to ensure peak engine performance under any given load. NOTE: Code P0223 is only relevant to “drive-by-wire” systems in which there are no physical connections, such as throttle cables, between the accelerator pedal and the throttle plate/body. In some applications, there may be additional sensors and devices fitted to act as back-ups should a primary component or sensor fail. 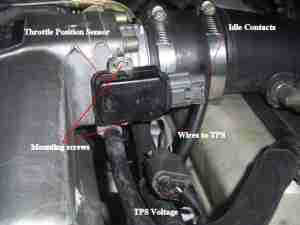 The image below shows a typical Throttle Position Sensor and its location. What are the common causes of code P0223 ? What are the symptoms of code P0223 ? How do you troubleshoot code P0223 ? NOTE #1: Before starting an electrical diagnosis of code P0223, it is important to check the TPS for correct adjustment. Mechanical wear in the actuating mechanism often causes a deviation from factory settings, which can result in incorrect signals being generated. For instance, the most wear on TPS sensors occur within the first 20% or so of the throttle plates’ travel, meaning that the throttle plate can either “flutter” in this part of its travel, or not close fully. In the latter case, the initial adjustment will not agree with factory specs. If the TPS is adjustable, attempt to restore the initial factory setting, but be aware that “getting- it-close” is not good enough. Most applications require adjustment to within one hundredth of a volt, so if an adjustment that does not agree with the factory setting stated in the manual is not possible, the better option is to replace the TPS. NOTE #2: A good indication of a TPS sensor being worn or defective is when you get a reading indicating that the throttle is more than 5% open at idle, or less than 90% open at WOT (Wide Open Throttle). A typical reading at idle is often zero volts, but the throttle opening should not exceed about 2 degrees. On some applications however, a zero voltage reading could indicate a defect in the circuit, so be sure to consult the manual for the exact values specified for the vehicle being worked on. NOTE#3: Be aware that many non-professional grade code readers cannot update their readings rapidly enough to display a smooth operating curve or increasing/decreasing signal voltage. For this reason, it is important to depress the accelerator pedal SLOWLY throughout its travel, or you might miss a momentary “glitch” in the sensors’ output, which usually (but not always) happens in the first 20% or so of the pedal’s travel. When checking the sensor’s output, there should be a steady increase in the voltage displayed. On scanners that can draw a graph of the sensor’s output, there should be no “valleys” or “peaks” in the curve. Also note that both sides of the graph should be equal, meaning that the side of the curve denoting the throttle opening should have the same angle as the opposite side of the curve that denotes the throttle closing. If the sides of the curve are not equal, suspect defective sensors, rather than defects in wiring. Record all stored codes and available freeze frame data for future reference. This type of data can be useful should an intermittent fault be identified later on. Assuming that initial checks have not revealed any deviations from factory settings and specifications start the diagnosis by performing a visual inspection of all wiring and connectors. Look for damaged, burnt, or short circuited wiring and connectors. 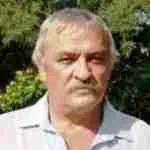 Repair or replace wiring and components as required. NOTE: Consult the manual on the location, color-coding, and function of each wire in the circuit. Test, and rescan the system after repairs to wiring to see if the code returns. If it code persists, perform resistance, reference voltage, ground, and continuity checks on all wiring and connectors. Be sure however to disconnect all control modules from the circuit before commencing continuity checks to prevent damage to controllers. Be sure to check the reference voltage at the connector to the pedal Hall sensor as well. On most applications, the reference voltage will be 5 volts, but consult the manual for the exact value for the application being worked on. If all obtained readings fall within specifications, reconnect the PCM, and check the sensors’ output with a suitable scanner. Do this by depressing the pedal SLOWLY while monitoring the voltage (or graph) displayed on the scanner. At this point, check for the presence of obstructions, such as floor mats that could impede the pedal’s range of movement. Remove all obstructions as required. With the key on, but the engine not running, the “throttle closed” value should match the manufacturer’s specification to within a few hundredths of a volt, or less than one degree. If the obtained reading varies from this, see if the sensor is adjustable, and make adjustments to correct the deviation from specification. If the sensor is not adjustable, it is likely defective. Replace the sensor, and retest the system. If initial readings agree with stated specifications, depress the pedal SLOWLY. When checking the sensor’s output, there should be a steady increase in the voltage displayed. On scanners that can draw a graph of the sensor’s output, there should be no valleys or peaks in the curve. At Wide Open Throttle, the scanner should display a reading close to 100%, or 5 volts. If this is not the case, wiggle all connectors (including the connector on the pedal Hall sensor) around and see if the reading on the scanner changes or fluctuates. If it does, repair or replace the affected connector. If the reading does not fluctuate, remove the throttle body, and inspect it for the presence of carbon deposits or other residues. Clean the throttle body as required, and retest the system. NOTE: While inspecting the throttle body, leave the TPS sensor attached, and check the throttle plate for free play. Free play is usually not repairable (especially on non-adjustable sensors) meaning that both the sensor and the throttle body are best replaced. Reassemble the system after repairs or replacements have been made, clear all codes and test drive the vehicle with the scanner connected to monitor the operation of the system. However, since heat can sometimes affect the working of marginally defective TPS sensors, make sure the engine reaches full operating temperature during the test drive. If the scanner reveals “glitches” in the system resistance/voltage only when the engine is hot, suspect a defective TPS sensor. However, resist the temptation to replace only the TPS or the throttle body, since there is no telling how, or to what degree the old component may affect the functioning of a new component. If despite all repair attempts the code persists, there may be an intermittent fault present, which may have to be allowed to worsen before an accurate diagnosis and definitive repair can be made.